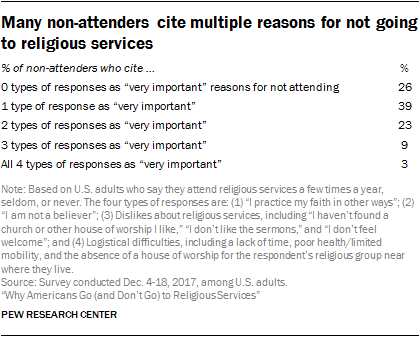 Respondents were given the option to name more than one very important factor why they do not regularly attend religious services, and many of them did. 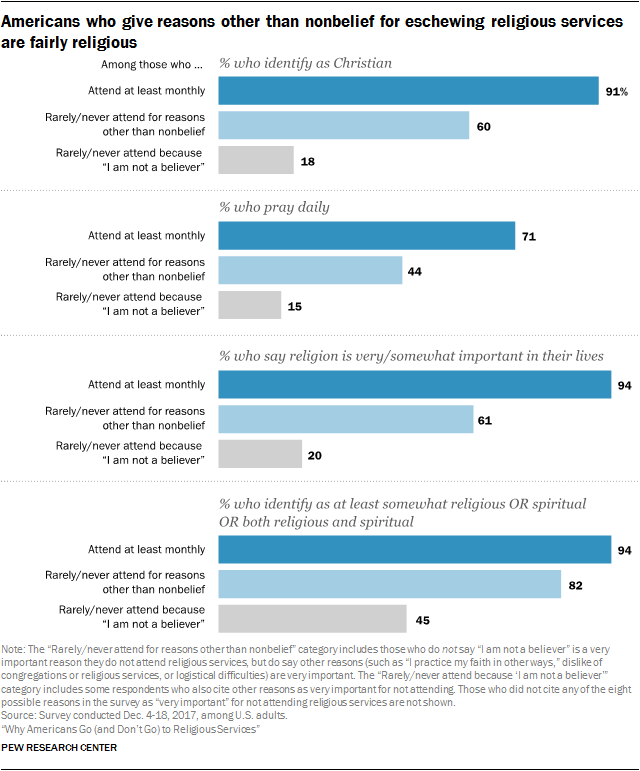 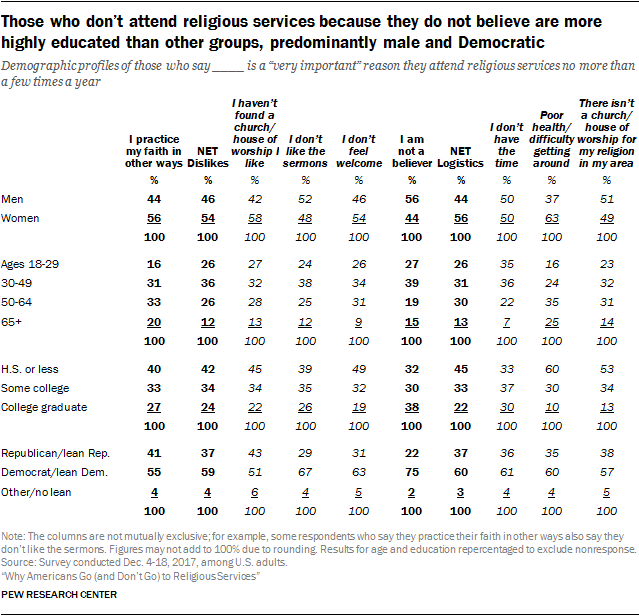 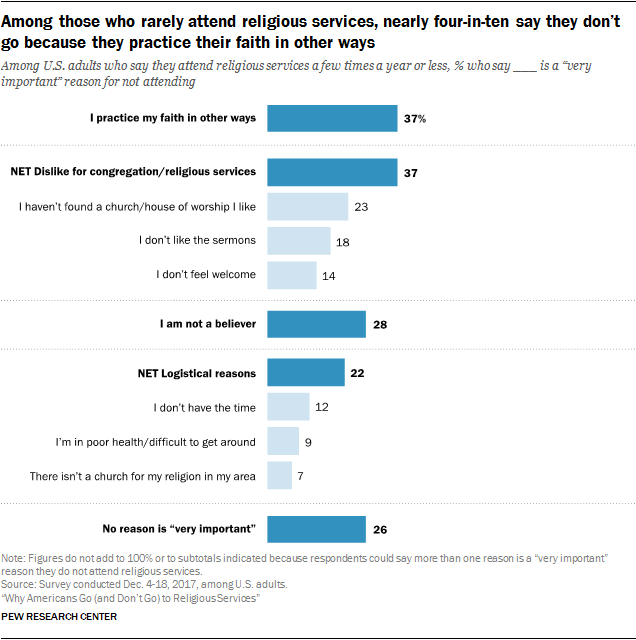 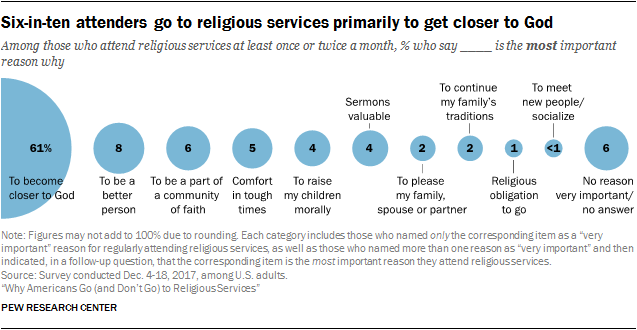 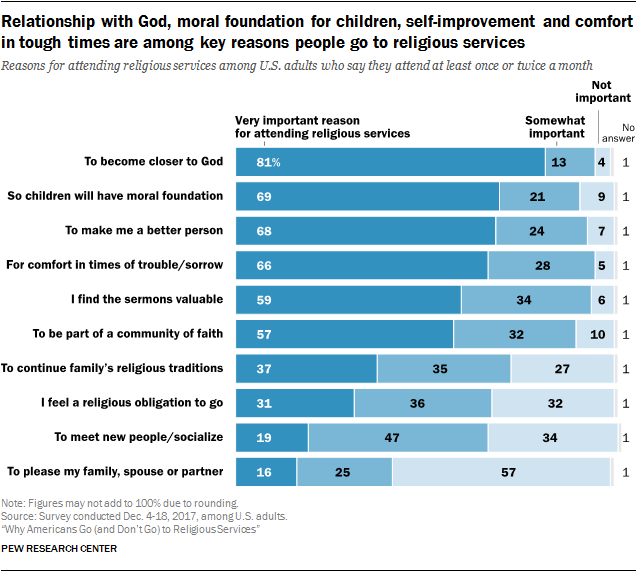 As a result, there is overlap across the categories; for example, among those who say they do not regularly attend religious services because they practice their faith in other ways, half also say there are things they dislike about congregations or religious services, and three-in-ten say logistical reasons are part of what keeps them from getting to church. 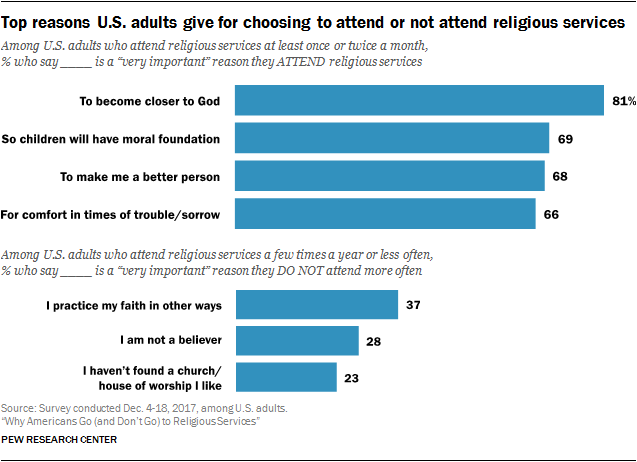 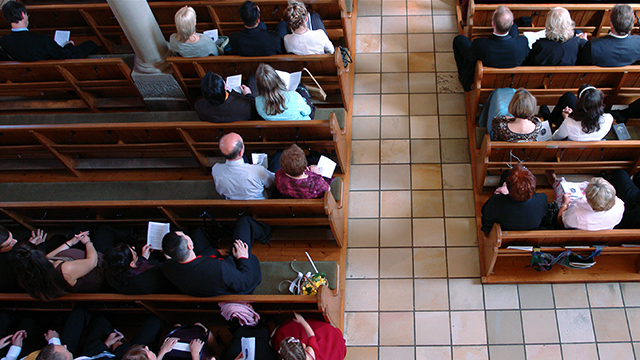 Majorities of U.S. churchgoers say that when they’re at religious services, they “always” or “often” feel a sense of God’s presence (80%), a sense of community with others (73%) and a sense of connection to a longstanding tradition (60%). 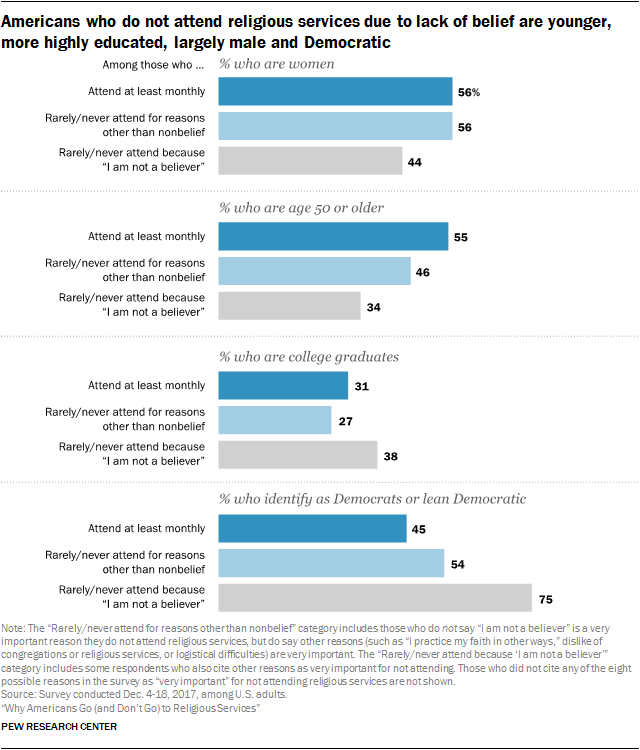 Women are more likely than men to say they often or always have these feelings.